Esselte Orgarex Lateral Insert White With Orange Tip (Pack of 250) 32690 Pack of 1 Labels for lateral filing systems. Fit magnifying label holders. For use with Orgarex Lateral Files. Easy identification. 10 packs with 25 labels per pack (250 total). Colour: White with orange tip. Each sheet of inserts measures 138 x 220mm. 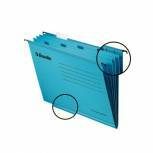 Esselte Classic Blue Foolscap Suspension File Divider (Pack of 10) 93135 Pack of 1 Esselte classic economy suspension File With Dividers Foolscap. Keeps documents in order inside the file. 220gsm recycled kraft with 4 dividers inside. Long replacement tabs and inserts - ES94514, ES94524, available for better identification. Rexel Crystalfile Classic 30mm Lateral File 300 Sheet Green (Pack of 25) 3000109 Pack of 1 Premium manilla 330mm lateral files with 30mm capacity for bulky or multiple documents. Tough metal runners for durability. Complete with tabs and inserts. Green. Rexel Crystalfile Classic 30mm Lateral File 300 Sheet Orange (Pack of 25) 3000110 Pack of 1 Premium manilla 330mm lateral files with 30mm capacity for bulky or multiple documents. Tough metal runners for durability. Complete with tabs and inserts. Orange. 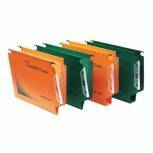 Esselte Orgarex 30mm Lateral File A4 Orange (Pack of 25) 21629 Pack of 1 Linkable lateral files manufactured from 220gsm orange heavy-duty manilla offer long term protection to your documents. Files link together through hook and press button. Magnifying label holders. A4 size. 30mm bottom. 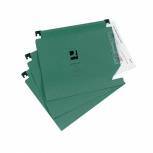 Rexel Multifile 15mm Lateral File Manilla 150 Sheet Green (Pack of 50) 78080 Pack of 1 Manufactured from strong manila and 90% recyclable material. Suitable for A4 and foolscap papers. Standard 15mm capacity provides storage for up to 150 sheets of A4 papers. Boxed 50 with tabs and inserts. 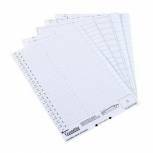 Rexel Crystalfile Lateral 275 Tab Inserts White (Pack of 50) 78370 Pack of 1 Pack of 50 white inserts for filing. Ensures an efficient filing system. Printable or writable surface. Free templates available for download. 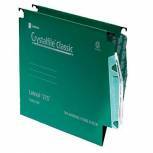 Designed for use with Crystalfile Classic Linked 275 suspension files. 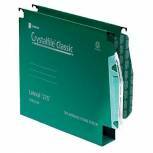 Rexel CrystalFile Classic 15mm Lateral File Manilla 150 Sheet Green (Pack of 50) 78652 Pack of 1 Twinlock Lateral Files. 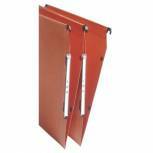 Hard-wearing manilla lateral suspension files with extra long identity tabs, reinforced leading edges and strong steel runners. Can be linked together via the tabs, supplied with tabs and inserts. Bar width 275mm. Colour Green. 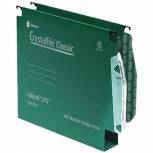 Rexel CrystalFile Classic 30mm Lateral File Manilla 300 Sheet Green (Pack of 50) 78654 Pack of 1 30mm capacity version of Crystalfile Lateral File for storage of bulky files. Reinforced base for strength and durability, with extra strong steel runners to support heavy loads. Runner width 275mm centre to centre. Complete with tabs and inserts Green. 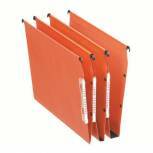 Rexel Crystalfile Classic 15mm Lateral File 150 Sheet Orange (Pack of 50) 70671 Pack of 1 Crystalfile Lateral Files with a runner width of 330mm centre to centre. Supplied complete with tabs and inserts. Features strong plastic runner. Orange. 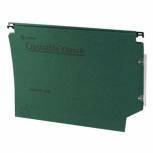 Q-Connect 15mm Lateral File Manilla 150 Sheet Green (Pack of 25) KF01184 Pack of 1 Q-Connect Lateral Suspension Files. 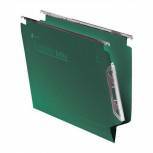 hard wearing Green manilla lateral files supplied complete with magnifying title holders and White title strips. Suitable for both A4 and Foolscap documents. 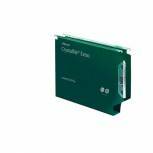 Rexel Crystalfile Extra 15mm Lateral File 150 Sheet Green (Pack of 25) 3000121 Pack of 25 Rexel Crystalfile Extra Lateral File 15mm Green Pack of 25 3000121. Polypropylene construction designed to last 5 times longer than manilla. Extra long identification tabs. Holds up to 150 sheets of 80gsm paper. 330mm runner width. 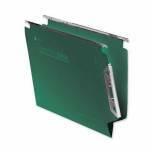 Rexel Crystalfile Extra 30mm Lateral File 300 Sheet Green (Pack of 25) 3000122 Pack of 25 Rexel Crystalfile Extra Lateral File 30mm Green Pack of 25 3000122. Polypropylene construction designed to last 5 times longer than manilla. Extra long identification tabs. Holds up to 300 sheets of 80gsm paper. 330mm runner width. 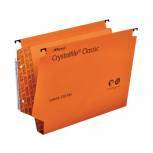 Rexel Crystalfile Classic 50mm Lateral File 500 Sheet Orange (Pack of 25) 70673 Pack of 1 Crystalfile Classic 330 lateral file 50mm. 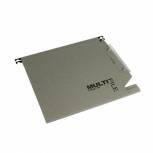 Large capacity A4 lateral manilla suspension file. 50mm capacity accommodates up to 500 sheets. Plastic runners for durability. Cut out shape prevents files jumping off the rails. Complete with tabs and inserts. 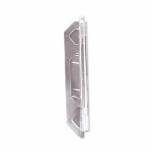 Rexel Crystalfile Lateral 330 Filing Tabs Clear (Pack of 25) 70675 Pack of 1 Lateral 330mm tabs clear 70675 for use with Crystalfile lateral files. 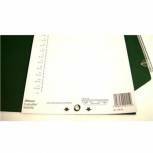 Rexel CrystalFile Lateral 330 Tab Inserts White (Pack of 34) 70676 Pack of 1 Easy to remove from tab to change file name. Ample space to accommodate long file names. Convenient pack of 25. 14.8cm width 1.5cm height before tab is folded. Can also be used with Multi-Files.